Hi! 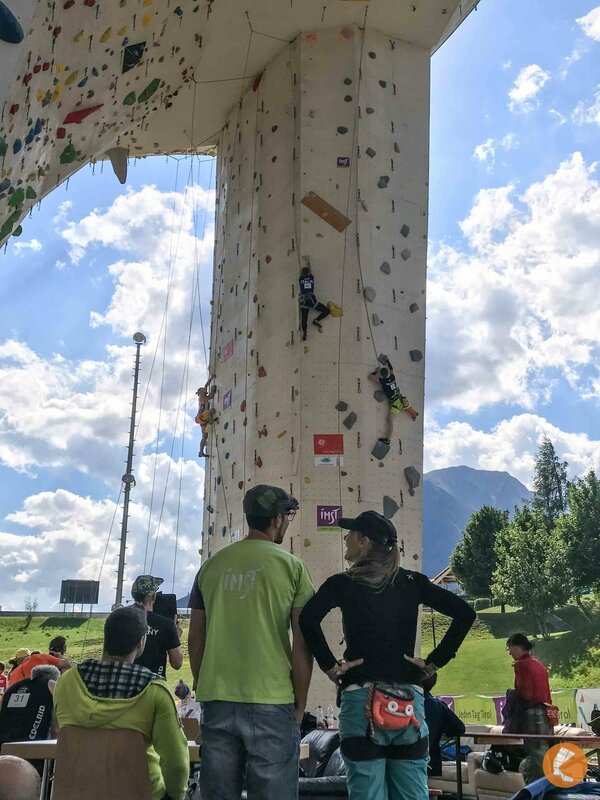 My name is Dehua and this article is about my experience of taking part in the Paraclimbing Masters in Imst, Austria this July 2018. 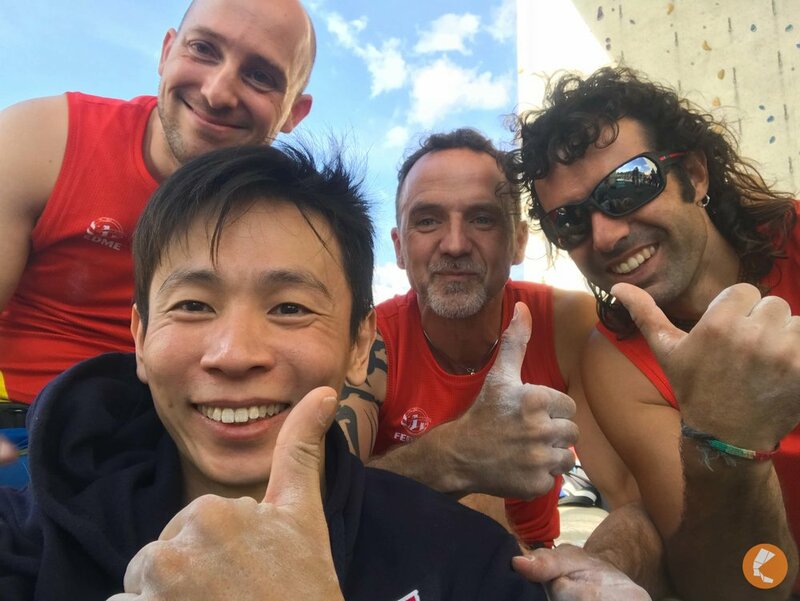 If you are reading it, I hope to shed some light on paraclimbing, my experience in the competition, and why participating in this competition has been so meaningful and inspiring to me. I hope you too, can take something away from my writing. A bit about me, I have been an amputee since 2004 after a road traffic accident. While I generally don't see myself as a disadvantaged individual, it wasn't the case right after my amputation. I fought with inferiority complex issues and was in denial for years before coming to terms with my disability. I guess the turning point was when I started doing sports. Being active in sports has allowed me to explore possibilities, rather than focusing on my physical limitations. I started climbing slightly less than 2 years ago with a simple belief - That this was doable. While I am short of a limb, I don’t necessarily have to concede to people's expectations that I can’t do certain things. I always ask myself, “How can I make it happen?”. This mentality has empowered me in many ways, and it has allowed me to live a normal life. I always believe that the doubt in yourself is a greater disability. As a lone paraclimber in Singapore, I am always sourcing the Internet for more information about adaptive climbing. I was really psyched about participating in this para-comp. Apart from seeking experience, I also wanted to see where I stood amongst the big boys. I was really mind-blown from this trip, and I hope to be able to articulate my experience to you in the next few paragraphs. In Paraclimbing, there is no lead, no boulder, nor speed climbing. All Paraclimbing competitions are in top rope format. There are 3 main classes of athletes: the Visually Impaired, the Amputees, and Restricted Power (for person with multiple conditions, cerebral palsy, neuro or muscular condition, paraplegics, and so on). Each of these three classes are further sub-divided into 3 to 4 groups like RP1 to RP3 depending on the severity of impairment. For Amputee class, the leg amputees are separated from arm amputees, but length of amputation is immaterial. For leg amputees, some may wear a prothesis to climb. Usually the below-knee amputees who have control of knee movement will choose to leverage on a prosthesis. There is a medical assessment for most major competitions, especially for Restricted Movement class because it is very difficult to draw the line, and some conditions may be degenerative. 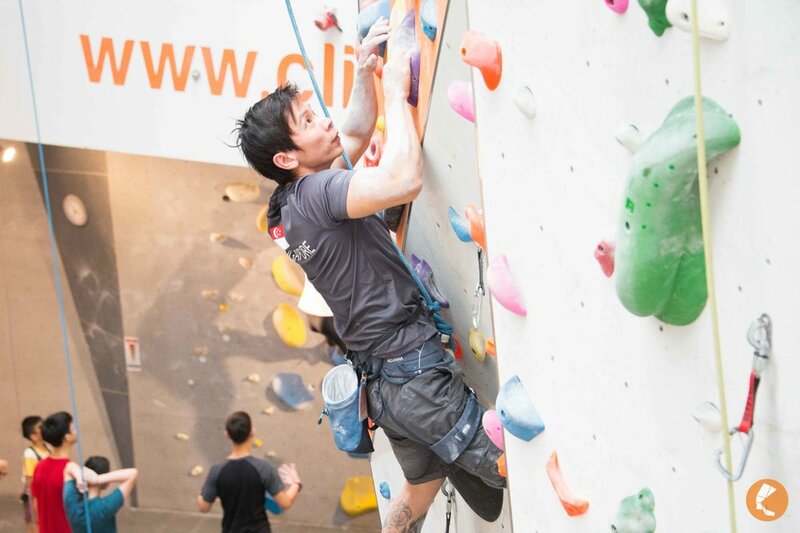 Being categorised into a lower function category will give the climber an unfair advantage, and this is always a thorny issue in all para-sports. When I was a swimmer, I was paired with above-elbow amputees for breaststroke events, and certainly not everyone will agree it was fair. I had the privilege of training under Aaron for 6 months prior to the competition. During this period, I trained 5 times a week, and the training plan was holistic. Aaron not only boosted my strength, power, and power endurance, he also worked on techniques that are unique to me. He trained me on moves that compensated for the absence of my right leg. It was unconventional, yet he was able to visualize my challenges. He also guided me in mental training and I was impressed by his wealth of experience and knowledge. My climbing had improved drastically during this period, and I was at my peak when I flew to Austria. This was my first trip to Europe, and the view approaching Austria was breathtaking. 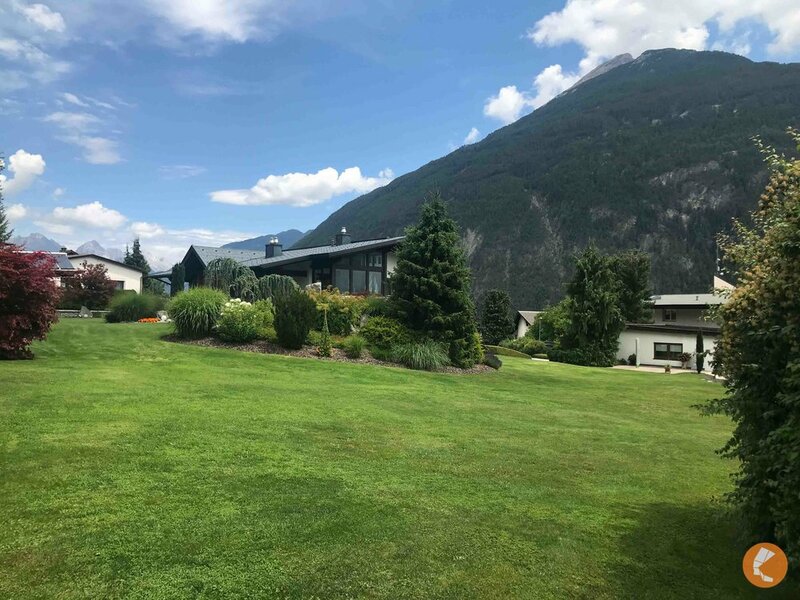 Mountainous country with small pockets of beautiful cottage-like houses, each with a well-groomed garden that blended in with the surroundings. While I was super excited, I also started to worry because I was going in blind. I didn’t study the place nor culture, I just assumed that knowing English would be sufficient to get me around. I would realise later that I was only half-right, because while most Austrians speak some English, everything else is in German. As a true-blue climber, I hit the Kletterzentrum climbing gym right after I checked in to my accommodation. The gym looked unimpressive under the backdrop of the mountain ridgeline. But as I entered the gym, I was love-struck. There was so much character in the walls and the incline wall looked so daunting. I would say that any climber who can resist not climbing can go ahead and quit climbing! However, I had a thorny problem. I was all alone and there were only lead routes in the gym. There was no auto-belay, and the gym was rather quiet. The people that were here came in pairs, which made it difficult for me to approach. I ended the first day bouldering all by myself in the gym, I almost cried when I left the gym, literally. I woke up the following day to sounds of birds chirping, the clean chilly air, and a magnificent view of the mountains from my room. It was stunning! I went to the supermarket to stock up food for cooking, and I established a routine until competition day. I also managed to ask for help in belaying the subsequent days I went to the gym, and it remained true that “most climbers are friendly”. I also visited the outdoor wall on the eve of competition and the route setters were still setting the wall. I asked politely if I was allowed in the arena, and they said ok. I confirmed with them if this was the competition venue, as I had not seen other paraclimbers around. Apparently, most of the climbers only arrived on the eve of the competition, and I am just a Kiasu Singaporean. On the day of competition, I walked to the gym with a heavy heart as the pressure of competition set in. It was drizzling, and I felt nostalgic as I recalled the days when I was doing sports competitively. The difference is that I was now here on my own will, and I wanted this for myself. I shouldn’t feel the pressure to perform. I have trained hard, all I needed to do was to give my best, and enjoy the whole experience. After registration and technical meeting, I had a long chat with a climber from India, named Kumar as he was alone just like me. From the conversation, I found out that this event was organized by a guy named Andy, in memory of his wife who passed away. He used to hold a respectable position in IFSC and he wanted this event to encourage participation and grow the paraclimbing community. I feel lucky to have participated in this Paraclimbing Master, because the format is friendlier. 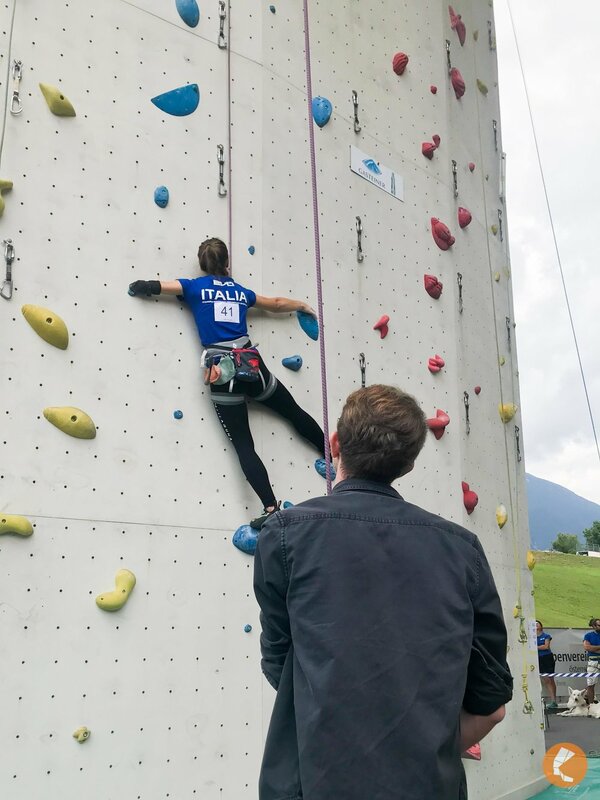 All the climbers got to climb all 6 routes as compared to 2 qualifying routes for other major competitions. There is no isolation, and everyone got to watch each other. What amazed me was how every competitor would cheer for each other. The atmosphere was so friendly and encouraging, which is uncommon in other competitive sports that I have taken part in before. It’s truly noteworthy! ‍At the competition area, there were about 12 lanes cordoned off, each lane was marked with three classes of climbers. I recognised the 3 routes that I would be climbing, and familiarised myself with their sequences. I was able to watch my 9 competitors climb before me as I was placed as the last climber in my detail. I thought that was an excellent advantage! After the route setter demonstrated all the routes of the day, the competition began. All the members in my detail gathered in front of our first route. I remember the words of the Iranian climber that the first climb is usually a confidence builder. Well, it didn’t look like it, and it certainly didn't feel like it. No one in my detail sent the first route! If anything, it was a confidence thrasher, as I popped out prematurely at the 13th hold! The competition routes all have one thing in common, they increase in difficulty. The route could start with a difficulty of 6A grade, but towards the top, the difficulty could increase insanely to 7B. I didn’t send any of the routes on my first day, but I didn’t feel very lousy. In fact, I was heartened by the encouragement from my competitors. Everyone was cheering for one another, something like what we see in our local gyms, but more enthusiastic. It’s extremely unusual to hear your competitors genuinely cheer for you to perform well, and I think this probably only happens in climbing. I remember there was a 69 year old climber from Germany, he was quite a jovial guy. He met a crux in one route and everyone was cheering hard for him. He turned around and gave us a comical laugh which made all of us roar with laughter. When he gave up shortly after, everyone gave a disappointed reaction initially, but immediately clapped for him thereafter. Everyone was like family and it’s amazing. On the second day, I became the 5th climber as they shuffled the stronger climbers behind me. This was a better arrangement because my detail consisted of different leg amputees, and some of them wore a prosthesis to climb. So, watching their beta would confuse me more than anything. My span was the second shortest in the detail too. I sent my first route on the second day and I eventually ranked 9/10th after the whole competition. Though it wasn't a good result, I know I have given my best. Just that my best wasn’t good enough, which is fine. I cannot expect to climb for 2 years and then podium in competition. That would be an insult to the sport. I was truly inspired by a lot of the people I met at the competition. I saw the display of sheer grit and determination from climbers with different disabilities. There was this Italian girl who had an amputation above the elbow. In many instances, she was in an impossible situation where her stump was just too short to reach the hold. I could imagine the frustration. Still, she hung on like her life depended on it, and when she managed to work her way up, I was so touched and so inspired. She didn’t compare herself with her competitors with longer stumps, it was as if the battle was between her and the route. She wanted to overcome herself, instead of focusing to outclimb her competitors. I thought this was important because our biggest naysayers aren’t “out there.” They are within us! 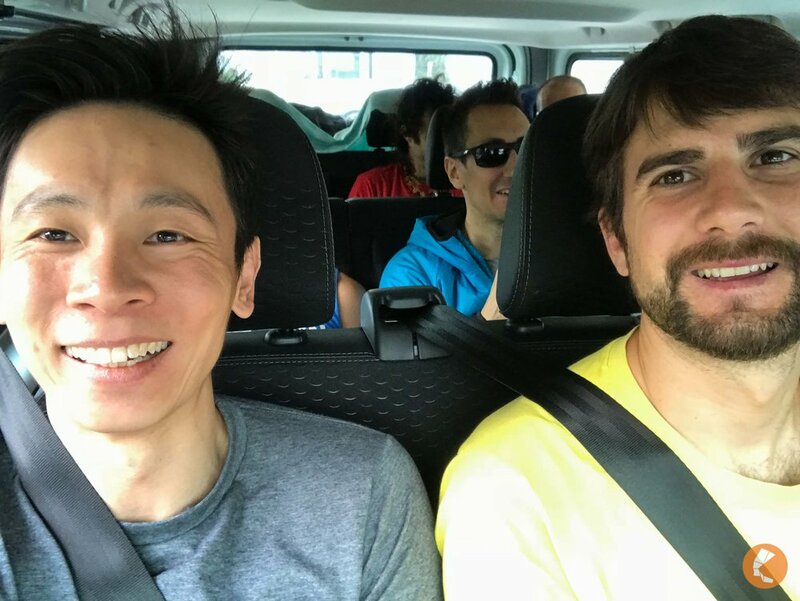 I was invited to climb with the Spanish team after the competition and the German team offered to pick me up for an outdoor bouldering the following day. During the climb with the Spanish team, I was climbing with the champion of my class, his name is Urko. I was belaying him for 7B+ lead and he popped twice, one was as early as the 3rd clip but that didn’t stop him. In fact, he rested for 10-15 mins and he came back to redpoint the route! The way he did that climb was unforgettable to me. I was almost certain that he will pop just 3 clips from anchor based on my experience observing climbers. Yet he screamed as if he was channelling every ounce of energy left to push through the route. I unwittingly stood up and applaud him. I was so amazed that I went around telling others what I saw. One of them told me that he is currently projecting 8B already! While I always believed in my abilities more than what most people would think is possible, I realised that I still have some form of mental barriers. Urko certainly raised that bar for me. During the outdoor boulder, I was with the German team and an Israeli pair. I had great fun with them! The Israeli climber without fingers was attempting a tough route repeatedly without success, then a German climber suddenly shouted, “Micheal! Use your fingers!” to which he would reply, “Oh, why do I always forget to use them?” and everyone will just have a good laugh. During my climbs when I was trying the starting hold, I would sometimes make comments like "This is tough" or "This is impossible". The German coach would correct me and tell me the importance of positive thinking. Truly when I take on the tough route with a changed mindset, I was able to make a move which I never believed was possible. This was another valuable lesson for me. Hitching a ride from the Spanish Team to Innsbruck! On the day that I was supposed to travel from Imst to Innsbruck, Urko texted me. His Spanish team were also travelling to Innsbruck for a training camp, and he told me it would be great if I could join them. It’s amazing that a legendary figure like him can be so friendly and humble. He even asked me to visit him in Spain, and would bring me to climb outdoors. He wasn’t the only one that offered me such hospitality! I am glad to have participated in this competition. 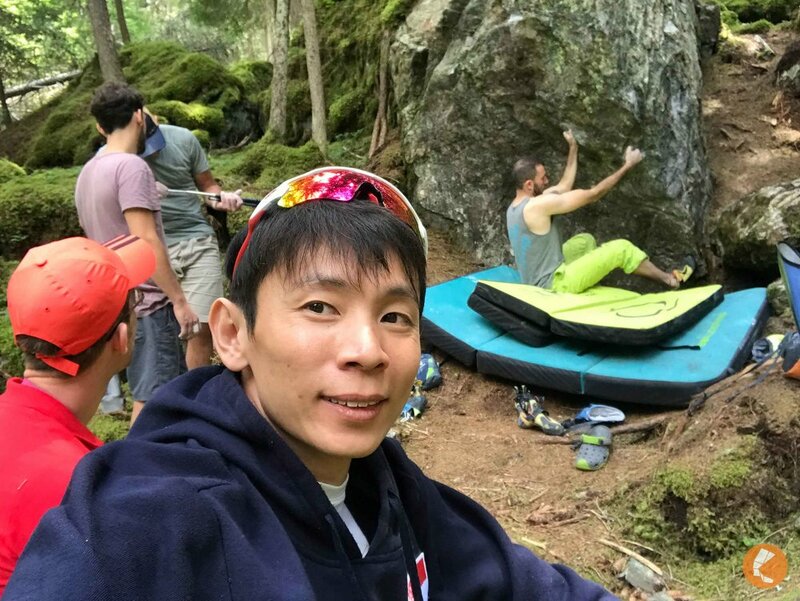 I made so many friends and the experience has really opened my eyes to adaptive climbing. I was really inspired by many of them. 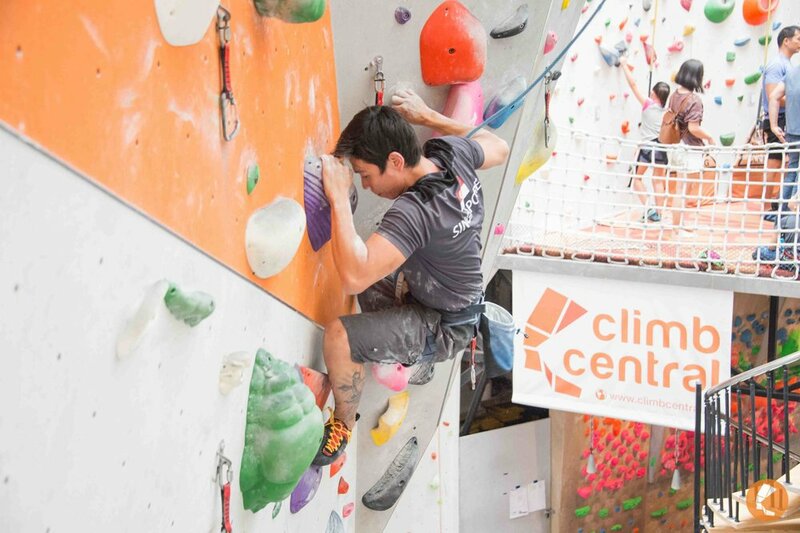 While I don’t have immediate plans to climb competitively, I am fired up to train hard to become a stronger climber. There were many occasions where I would miss my loved ones back in Singapore. It’s just sad that I am all alone in this beautiful country, with no one else to enjoy with. It reinforces the importance of relationships over wealth. It’s meaningless to have the best things in life when we have no one else to share the joy with. I would like to thank you for taking the patience to read my article till this point. 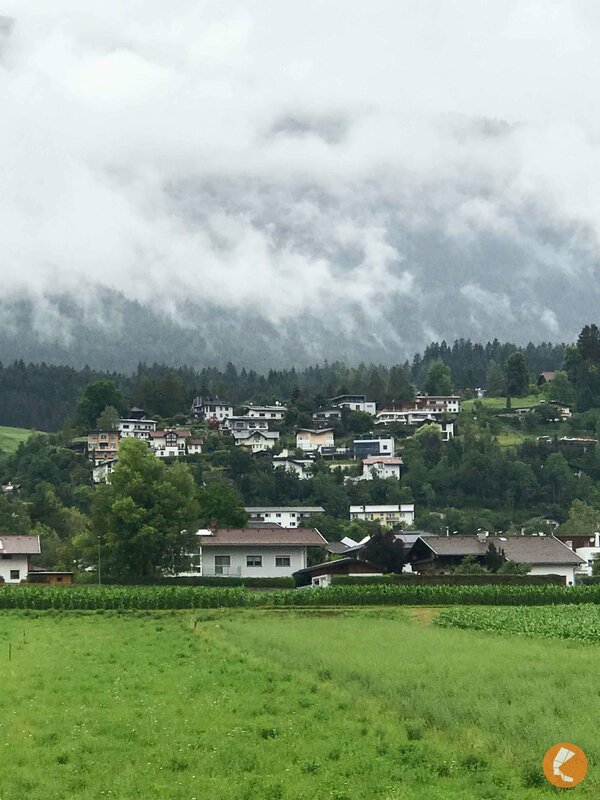 I hope I have inspired you the way I was inspired in Imst. 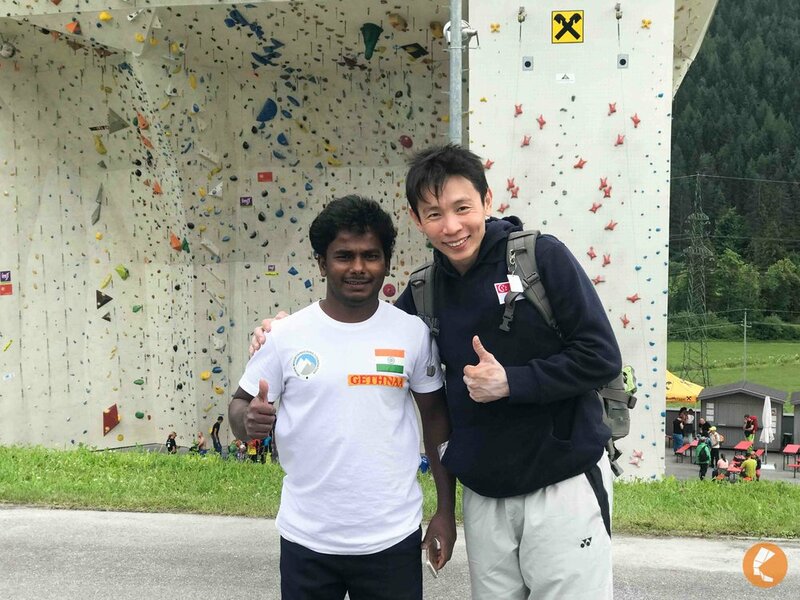 I would also like to take this opportunity once again to thank Aaron (Coach), ShiHui (Ex-coach), Lily (Climbing Buddy), Singapore Mountaineering Federation, Climb Central and all the people that had encouraged me and helped me get this far in climbing. I will continue to excel in climbing and other aspects of my life. I hope you can too! Remember the importance of developing self-mastery, which is a never-ending commitment to seek improvement. It is the process of becoming…. Allez!! !